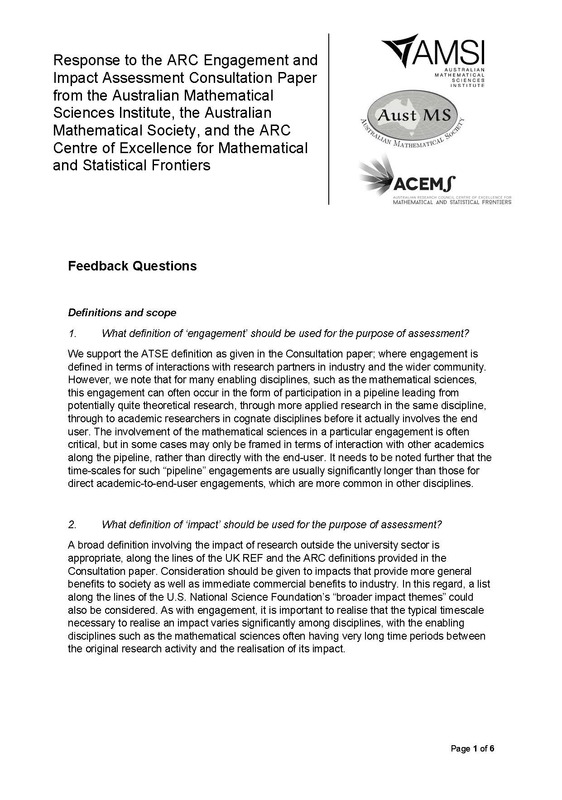 The combined response from the Australian Mathematical Society, the ARC Centre of Excellence for Mathematical and Statistical Frontiers and the Australian Mathematical Sciences Institute to the consultation by the Australian Research Council on the proposed measurement of research engagement and impact. The response was submitted to the ARC on October 10th, 2016. 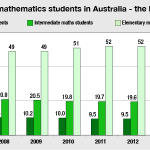 The submission was the result of discussions at the ACEMS/AMSI Workshop held on Wednesday September 28th 2016, on Measuring Research Engagement and Impact in the Mathematical Sciences. 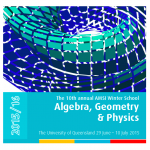 Read more about the workshop and see the speaker presentations.